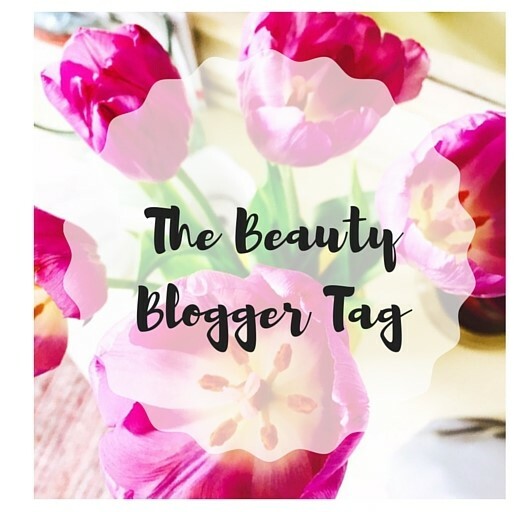 I was nominated by the lovely A Little Bit Of Lu to take part in the Beauty Blogger tag! I think it's a great, fun way of getting to know me a little better so here goes. 1. If you could only use five products from your makeup collection, which ones would you pick? | Laura Geller Balance & Glow (or the original Balance & Brighten) Foundation, Laura Geller Real Deal Concealor, Benefit Cosmetics Roller Lash Mascara, Tarte Cosmetics Lip Surgence Lip Creme & Laura Geller Bora Bora Blush. Just need a primer and a brow product and you basically have my everyday makeup routine right there! 2. Which make up item is top of your "to-buy list" at the moment?| NYX Lip Lingerie Matte Lip Paints. The hot instagram trend of the moment seems to be these Lip Paints by NYX and having never tried anything from their brand before I'm itching to give them a try! I have my eye on Bedtime Flirt & Exotic. 3. What are you looking forward to right now? | Summer! If we ever actually get one this year. I'm desperately craving some light and warmth! 4. Would you rather live without brow products or lip products? | Ooh tough call. Although I feel I look a little weird without at least doing something to my brows, they are in pretty good shape so I could get away just brushing then through. I am however a major lipstick hoarder! I couldn't tell you how many I actually have. 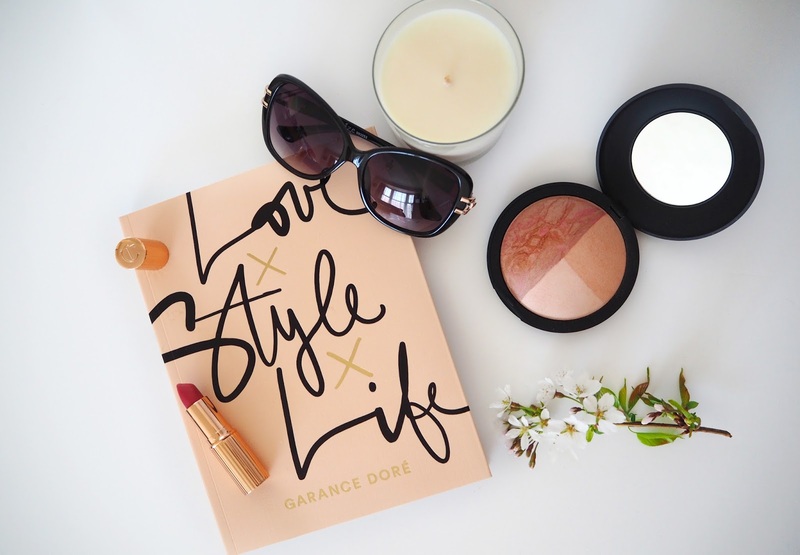 I love my lip products in every shape and form so I definitely couldn't live without those. 5. If you could go back to when you first started your blog, and give yourself one piece of blogging advice, what would it be? | I'd just say take your time. You don't have to have everything perfect to start off with i.e the blog layout, pictures, linking etc it will evolve. I'd also say get involved with weekly Twitter chats early on as that's how I made many of my blogger friends and gained an awful lot of useful advice! 6. Which makeup brand would you say you buy from most frequently? | Laura Geller hands down. Although Tarte Cosmetics is becoming a new challenger! 7. Is there a makeup product you've regretted buying? | Really cheap, sticky & glittery lipglosses when I was younger, they looked bad plus they tasted foul! 8. How have you changed as a blogger since you started? | I think I'm more sure of myself and the direction I want to take my blog in. I definitely work faster as I remember at the beginning one blog post could often take me a week or more to complete! I take so many more product pictures than I used to just to get the one perfect shot but it's usually worth it. 9. Which makeup product will you always repurchase? | Laura Geller Balance & Glow Foundation in Fair, it's my easy go-to foundation that I can rely on. 10. Do you think blogging will be different in a year? | I'm not sure it will be that much different except that there will probably be even more of us. Hopefully they'll be increased opportunities and blogger events where we can all meet up too! 1. When & why did you start your blog? 2. Name 3 Beauty Bloggers or YouTubers who you look to for inspiration? 3. What makeup product do you always repurchase? 4. Give your Top 5 Beauty Travel Essentials? 5. What would be your 2 most recommended skincare products?6. Which makeup brand makes up the majority of your collection? 7. Is there a beauty product you've regretted buying? 8. If you could have your makeup/hair done like any Disney Princess, who would you be? 9. What is your most wished for beauty product right now?